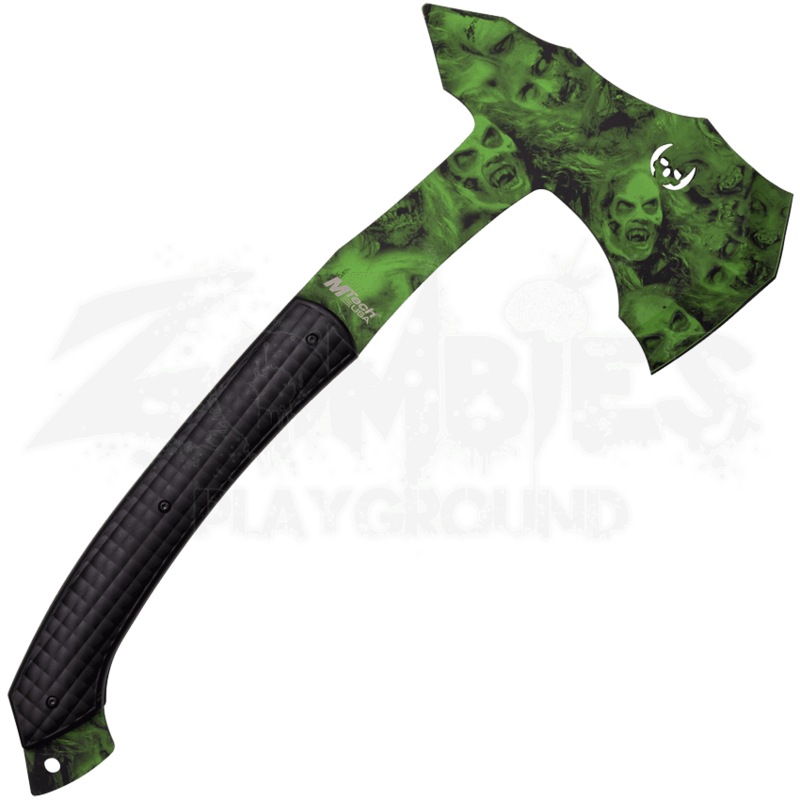 Zombies may not have souls, but that will not prevent this Soul Cleaver Zombie Axe from doing its job. An ideal side arm for the zombie apocalypse, this is an effective hand axe to add to your survival kit or your zombie collection. Crafted from 4mm thick stainless steel, this axe is hardy and capable, a solid choice for splitting logs, skulls, and anything else. The grip is wrapped in black nylon fiber for a comfortable hold, while the steel sports a green graphic of writhing souls and zombie faces. Included with the axe is a 1680D nylon sheath. 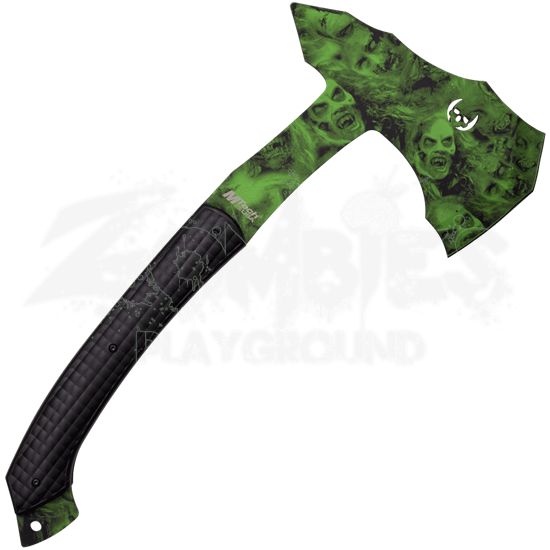 So next time you see a walker shambling your way, turn to the Soul Cleaver Zombie Axe to return that undead horror to the grave.